I don’t know about you, but after a Monday holiday my week is messed up. I’m always a day off . . . The same with the weekend — did I have two Sundays? Well, it seems that Tuesday is upon us and I’m trying my best to keep up with the week the best I can . . . with my irregular sleep schedule — that may be more of the reason than a long weekend. I do love writing during the wee hours of the morning . . . There are no interruptions . . . no telephone ringing . . . no neighbor noises . . . just pure silence that is relaxing allowing me to write without distraction. I had to renew my security software on my computer. It’s a bit of a bother, but necessary . . . or so I’ve been told . . . It does make you wonder if it really is doing what it’s suppose to do. I can sometimes get on websites with a virus that takes over my computer . . . I didn’t even see it coming! Aren’t we supposed to be protected from that? And I do wonder about the hacking that is going on . . . not that I have such important documents on my computer . . . but what I have is important to me. I do wonder how secure we truly are on-line . . . but I’m hooked on the internet right along with millions of others . . . and we’re not going to stop using it. It’s like when my new security software was installed and my bandwidth was diminished . . . I restarted my computer to fix the problem. Sometimes the magic wizard of installing new software doesn’t prompt you to restart . . . I think it is necessary to do so . . . it solved my problem. And, why would that software have anything to do with my bandwidth? Strange things do happen in the wee morning hours . . . you’d think I’d be the only one on-line . . . or with a few night owls . . . but maybe they do cut back a bit or do those things they do when we’re supposed to be asleep tucked securely in our beds. Well, the good news is that I have a whole year of security on my computer. It’s interesting how Memorial Day unofficially announces summer and Labor Day unofficially brings it to a close. Memorial Day was indeed warm here . . . let’s hope Labor Day brings us fall weather. I can only hope. I’ve been thinking of those who went camping this weekend . . . and how many s’mores they consumed . . . and how many ghost stories were told. This is truly an exciting time of year. The fair to hot weather brings on thoughts of being carefree. Some people use their vacation time to get into their favorite hobby . . . or do something new. It’s just a welcome break from the regular daily routine of work and related responsibilities. Some people pack their vacations with activities that keep them and the kids busy . . . doing something fun and different from the norm. It’s nice when there are vacation plans that include a variety of activities for the whole family to enjoy. I remember some vacations that were quite exhausting from all the things planned . . . and when I did get home, I enjoyed sitting on the front porch or balcony or patio (depending upon where I lived) and relaxing . . . yes, it was home, but I had to recharge after such an exciting vacation. But the memories were absolutely priceless . . . something I can fondly think about for years to come . . .
Life is full of precious “treats” to savor. I remember going to this lake, not far from my home. It was quiet even when a lot of people were there. It was one of those places that was completely serene . . . and once you entered that sacred ground, you could feel the calmness and the weight of the world lift off your shoulders. I’m sure you’ve found such places, too. It is necessary to unwind from time to time . 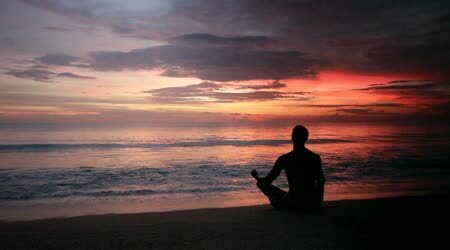 . . relax and allow yourself to just enjoy the peaceful solitude of your thoughts . . . or no thoughts at all. I remember watching others sitting in their portable chairs . . . sitting still . . . and some women would be doing needle work . . . a man would be reading a book . . . but mostly people were quiet. It seems to be the perfect setting for a Stephen King novel . . . but it never really spooked me . . . thinking about it now . . . I wonder if something paranormal was happening . . . I believe it’s good to get out in nature from time to time . . . dig in the dirt . . . sit calmly . . . have a picnic . . . just relax and enjoy either alone or with friends or family . . . I think we are all drawn to certain places . . . some to the desert, others to the beach and some to the mountains . . . it is their special place to relax and soak in nature . . . There are some garden settings that are specifically designated for places of reflection and meditation. Although it’s nice to get out and go someplace . . . I find I enjoy making that serene place in my own backyard . . . so I can visit it regularly. I’ll write out there and sometimes eat breakfast or dinner . . . sometimes have a cool or hot beverage and just unwind . . . taking in the calmness and the quiet. In the distance I sometimes hear the church bells . . . and other times the faint sound of the train whistle . . . I love that sound . . . it is peaceful and quite calming to me. Well . . . we’re embarking upon a new week . . . a short one with the unofficial start of summer . . . How do you plan to spend the next few months? I hope you’ll take in the sights and sounds of nature and enjoy it thoroughly. Maybe learn something new and exciting or get into something you love doing. I’m beginning to think summer is the time to reflect and explore . . . and maybe a time of spiritual growth . . . and healing . . .
For most crafters this can be an issue. I know it can be for me . . . that’s why I’m writing about it. You see, I enjoy making boxes . . . lots of boxes . . . some for my family and friends and neighbors and some for special occasions. 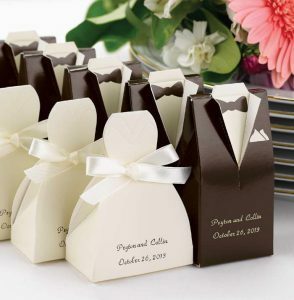 When it comes to special occasions, a wedding or anniversary or even graduation party . . . I need to get a lot done in a relatively short span of time. So, mass production is the way to go when I can get things pre-cut using my Silhouette Cameo and my printer. But, sometimes I feel I need to give a bit of a personal touch as well . 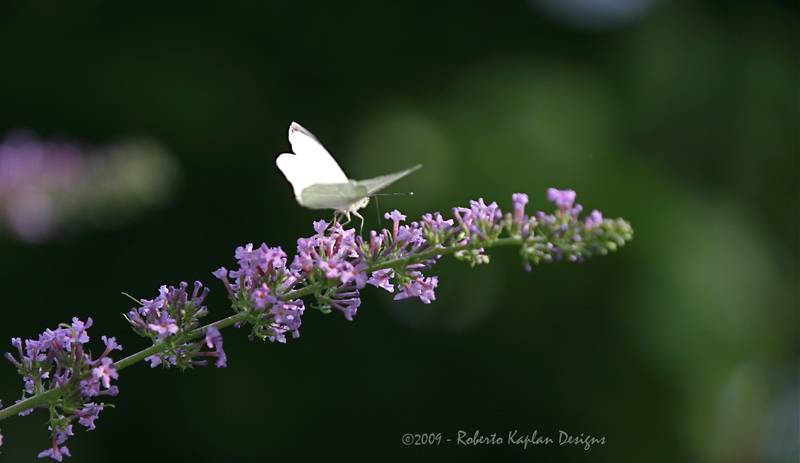 . . just to set my work apart from the work of others or store-bought. And, to be honest with you, I want to have some fun and be creative . . . not just do an assembly-line process . . . which can become quite boring. We do buy equipment to make certain tasks easier. This does save us time. And allows us to make a number of attractive products with relatively little effort. Which in many cases can be a blessing . . . especially when you have several orders to fill. And, as a business this is necessary. So, when it comes to doing things for your own gatherings and hostess gifts, you would probably take more time with them. I’ve been thinking about Halloween coffin gift boxes and how to embellish them in a very attractive or spooky manner to fit with the season. It’s fun to add pumpkins and children trick-or-treating . . . or to have spider webs and a scary spider with vampire fangs . . . or build some kind of grave yard scene . . . maybe add a witch, a ghost or a goblin . . .
And what to put inside . . . besides tasty treats. We can have fun when it comes to those products we mass produce . . . by adding some nice embellishments that add to the hostess gift box. We do love having something tasty to take home with us. And a seasonal greeting with a fun spider as in the picture to the left would dress it up quite nicely and give your treat bag or box a little something special on the outside. It is all a matter of taste . . . as how long you have to put together your hostess gifts. I like my guests to believe that I take as much time in preparing the gathering as I do in creating the gift. My guests are special to me . . . and I want them to know it. So, it is all a matter of what you want to do . . . and how you feel about giving your very best . . . given the situation. Thanks for stopping by. I hope this was helpful and gave you something to think about. I know I’m a bit obsessed about quilling. First I was curious. Then I became excited about the 3-D construction. Now . 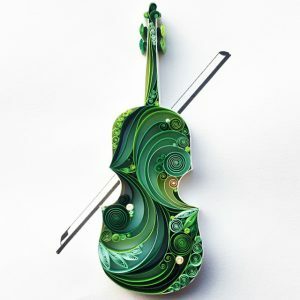 . .
Turish Artist Sena Runa quit her paying job to devote her time to quilling. This shows true passion . . . and a true artist. There is definite attention to detail . . . and it seems as though Sena is having some fun along the way. That is truly passion to me. Many of us would “rather be” doing just about anything than “work,” but very few of us leave the “job” in order to pursue it 100%. I know of others who have . . . and things have worked out well for them . . . but they worked . . . worked harder than when they were working for a salary . . . But, when you’re doing what you love . . . then it’s much like play . . . This could be true for Sena Runa . . . and she is an excellent artist . . . I am inspired by her quilled art. Although this feather is flat . . . it is definitely three dimensional. Just like a real feather. All made from strips of paper. I know it is quite unbelievable . . . but so very much is indeed possible . . . if you give it a try. I just had to share some of Sena Runa’s work with you. 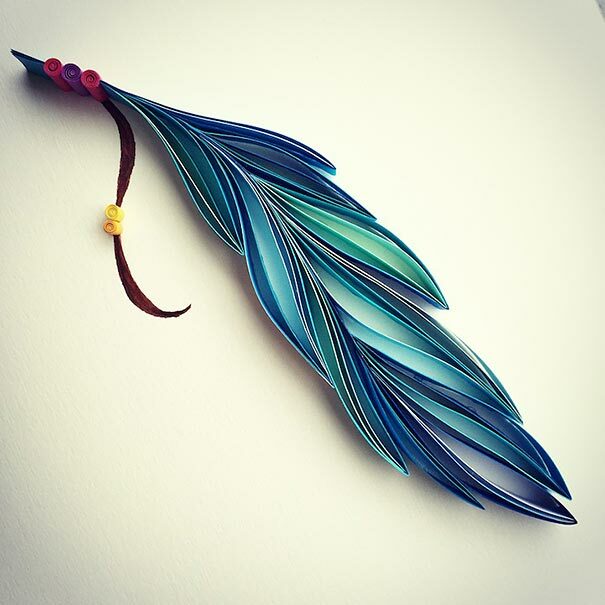 I think we’ll be seeing many more of her paper quilling creations for many years to come. She sells her work from approximately $85. to $550. depending upon the piece and the amount of detail involved. They do come framed and they are not huge . . . about 91/2 by 11 1/2 inches. When you’re this good at your craft . . . the money will definitely follow. I can look at Sena’s quilled art and I am amazed by how she knows what to include and how to separate the piece. But, then, with practice and having a sense of what you feel by the shape of the piece . . . you will definitely know . . . and flow with that feeling. It is wonderful to have such a talented artist for inspiration . . . challenging you to come forward and create something of your own that speaks clearly from your soul . . . your heart . . . your life force . . .
Music and musical instruments have a certain “feel” to them. They would be excellent subjects for quilling . . . the coils and the curves . . . you can feel the movement . . . and with the color selected . . . this reminds me of the ocean and waves . . . and the crashing into the rocks . . .
Everything blends together in a symphony of the senses . 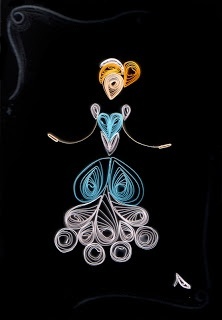 . .
That’s what I see and feel when I think about quilling and using it as an art form for self-expression. One of my favorite pieces of Sena’s is what I believe to be an outline of Mickey Mouse. It is beautiful as she made it, of course . . . I see something entirely different that I would want to put inside . . . my feelings about the magical kingdom created by Walt Disney . . .
And, given my age, my experiences go way back . . . to a time of fairy tales . . . and those characters that did shape my life a bit . . . we are a product to an extent of what we’ve lived, observed and were taught . . . If the outline is a “symbol”, then what other symbols would be appropriate to include in the piece that would say “Disney” . . .
Or . . . is this not meant to be the outline of Mickey . . . just a large circle with two smaller ones on top . . . maybe it means something entirely different to Sena . . . it is, after all her art piece . . .
And, maybe my vision of the paper elements and the colors wouldn’t work as well . . . or would involve more time than I would like to devote to one piece . . . or an element of mystery is necessary for others to discover on their own . . .
Then the question comes down to . . .
Do we create for ourselves . . . or others? I do wonder . . . perhaps it’s a mixture of both . . . depending upon whether you want to sell it . . . or not . . . and if you actually know what the public wants . . . I want something that “speaks to me” or something that I truly receive a positive feeling from . . . maybe even something to stir memories . . . When I make mine . . . it will be for me to keep and to enjoy . . . I’m not interested in selling it . . . but one never knows if the time and price are right . . .
We all have our tastes . . . and when we think of Disneyland or Disney World, we’ve all had our own personal experiences . . . and how would you best depict it in a quilled piece of art? It is quite challenging . . . and could be fun in the process. I hope this was inspiring for you. 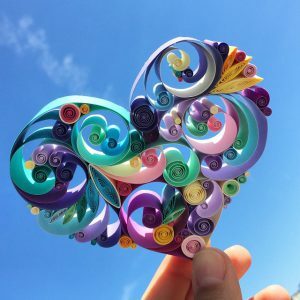 Do you know about quilling? I heard about it several years ago, but didn’t think much of it . . . until now. I got thinking about the layering of paper many crafters do. Then I wondered how quilling could be a part of that, especially when it involves 3-D objects. And the ability of designing them out of paper. The rolling of paper and manipulating it into different shapes is absolutely amazing as in the picture on the right. Quilling does allow the image to come out of the paper background without the use of pop-dots or foam dots. It is truly a unique way of layering paper. It is quite lovely, but I was looking for something more . . .
I’ve worked with clay in the past with a kiln and all that, but with paper . . . that would truly be amazing. This is when I discovered quilling could be the answer. Strips of paper rolled up with several layers of thin strips of paper could be shaped in such a way as to make 3-D objects. I’ve been mesmerized for the past few days . . .It is truly amazing what can be created from rolled up strips of paper. They don’t have to be glued to a piece of paper. They can stand alone . . . and they can be dressed up with paper . . . it is truly amazing what can be created with these strips of paper. Take a good look at these graduates . . . front and back . . . The nose is the center of the rolled up strip of paper. Eyes were added and they do have a smile . . . The hair is paper as are all the other elements. Quilling isn’t as popular as it once was . . . if it was ever truly popular . . . There are many crafters who make quilled earrings. This is has been a nice business for them. 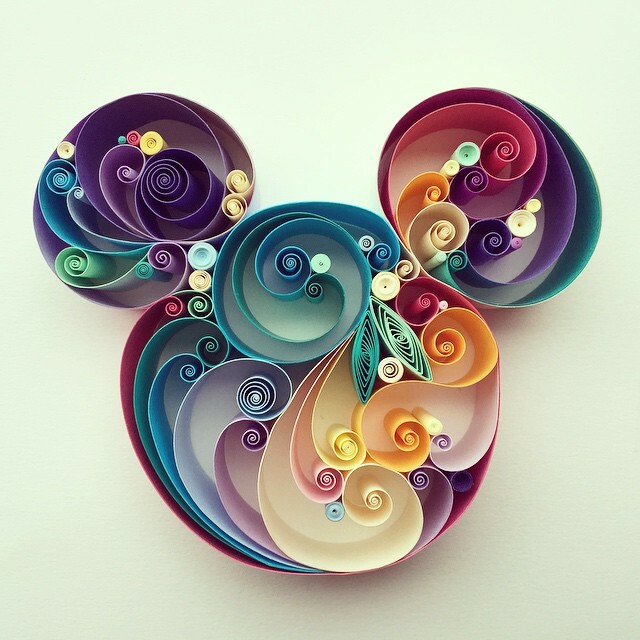 Some make up pictures and use quilling to make them pop out. I love this 3-D art concept of quilling. You don’t really need that many tools and the supplies are relatively inexpensive compared to other hobbies . . . but the reward you receive by creating these 3-D objects is absolutely priceless. I was on a website earlier today where a woman made a whole family of minions. She loves them . . . Each one is different, she says . . . of course they are . . . each one is made separately! They would have their own personality given the number of eyes and how their arms and legs have settled . . . Just as these graduates. The girls are holding flowers . . . the hair is different and the way they wear their cap is a bit different . . .
And even the tassels on their cap is a bit different. And, their hands and feet and legs could be a little different as well as their bodies. The thing is, once you get started, you’re hooked and you continue to make more and more. It is a learning process . . . and we always enjoy doing what we do well . . . and tweak it a bit. I do love the attention to detail . . . front and back that this allows you to make. And they are solid — not hollow. 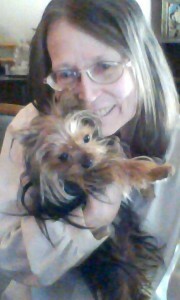 The woman I spoke of earlier with her minions, well she sold some. I think this was a good thing at the time, but she did enjoy looking at them and even playing with them. This does bring the kid out in you. Which I believe is definitely a good thing. Also the fact that she sold some of her minions, gave her an opportunity to make more. The surprising thing is that she was able to make her minion invasion in about a week . . . It does take time to make each one, but the time spent is thoroughly enjoyable. And one leads to another and another . . . until you have more than you know what to do with . . . but they are small and will fit nicely in a shoebox . . . I do hope this blog post was enjoyable and gave you something to think about. Maybe try your hand at this quilling craft. How much Halloween can you fit in a jar? I know it is way early to be thinking about Halloween, but . . . it doesn’t hurt to get started with some of your Halloween decor. I know people who plan for their Halloween party immediately after their last Halloween party . . . the guests haven’t even gotten home when one friend of mine is thinking about next year . . . or maybe a summer Halloween bash. Some people love this season so much that they celebrate it throughout the year. With some crafts, it does take quite a while to complete . . . especially if you’re making more than one . . . or having fun adding all kinds of stuff to it. I think it’s fun to mix up the holidays a bit and enjoy them throughout the year . . . maybe not formally, but with making stuff. And making a Halloween scene inside a bottle just may be the challenging project you would completely enjoy. I do like the idea of making a cemetery scene in a bottle . . . maybe a skeleton could be added to the setting with him thinking about his situation or the situation of the person whose grave site he’s visiting. Maybe a pumpkin or two would dress up this scene a bit. I don’t know how to do it . . . but it would be fun to use some paper and make the elements . . . stick them in the mossy stuff you put in the bottle — maybe some dirt, too . . . then with a string and a long thin stick you can set things up . . .
Just roll them up, pop then through the top of the bottle and help stand it up in the right location. It could be much more challenging than those video games you’re so fond of playing . . . maybe get the family involved . . . see who has the best dexterity skills . . . take advantage of the skills developed playing on the computer. I don’t know about you, but this looks like fun . . . and since I have plenty of time before Halloween . . . I can take my time . . . and make several of them . . . I like the milk bottle . . . the opening is large enough to set your Halloween scene up quite nicely . 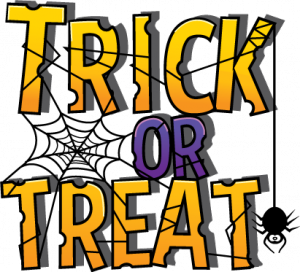 . . or decorate the outside with your Halloween scene and fill with candy. Have fun and enjoy making this or a different craft in preparing for Halloween . . . or you could put your party invitation in a bottle . . . that’s an interesting thought . . .